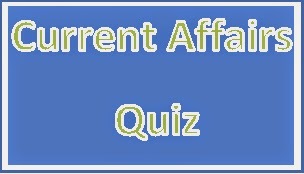 Dear Readers, Read current affairs quiz based on The hindu for IBPS RRB Mains, IBPS Clerk, India Post. 1. Who is the President of Israel that visited India recently? 3. Who is the present Prime Minister of New Zealand? 4. India’s first underwater festival has been held in which city? 5. India’s first digital and cashless village “Akodara” is located in which state? 6. Who has been appointed as the next High Commissioner of India to Australia? 7. International Day of Persons with Disabilities being observed on 03rd December 2016. The theme of World Disability Day for 2016 is.................? 8. Who was recently awarded with the 2016 IAAF female Athlete of the Year award? 9. When is the International Volunteer Day observed globally? 10. Who was appointed as the Interim director of Central Bureau of Investigation (CBI)?